If you are a Frank Sinatra fan you won’t want to miss the world premiere of Hoboken to Hollywood: A Journey Through the Great American Songbook at the Edgemar Center for The Performing Arts in Santa Monica. This new musical features the talented Luca Ellis and the Paul Litteral Orchestra and is directed by Jeremy Aldridge. Aldridge is well known among Hollywood audiences having directed the critically acclaimed musical Louis and Keeley: Live at the Sahara which premiered at the Sacred Fools Theatre. The LA Times called Louis and Keeley “One of the best musicals playing in town…see it twice!” while making it “Critics Pick”. Hoboken to Hollywood promises to deliver the same caliber of music, entertainment and brilliance. 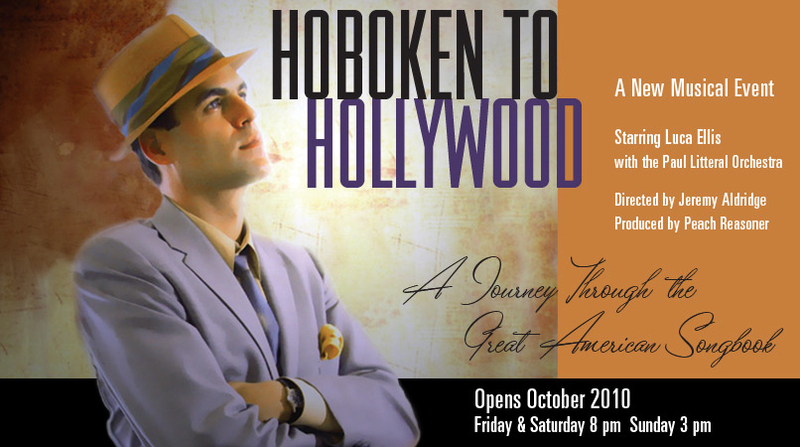 Hoboken To Hollywood: A Journey through the Great American Songbook begins previews October 8-10th and opens on October 15th. Tickets are available through the Edgemar Center for the Performing Arts. This is a limited engagement and is expected to sell out quickly so get your tickets early if you are a Sinatra fan. I’m Carol Wolfe and when it comes to Real Estate nobody does it better, not even Sinatra!